Thomas Stanway is a C-List Specialist Regulatory Advocate. Thomas has considerable experience of prosecuting a range of regulatory offences on behalf of the Health and Safety Executive, HMRC, police forces and local councils. Due to his experience in this area, Thomas has even conducted training on behalf of the Health and Safety Executive assisting specialist inspectors when giving evidence. He is regularly instructed in appeals concerning the revocation of firearms and shotgun licences. Thomas’ experience is not confined prosecution work. Thomas is regularly instructed to defend in cases involving regulatory offences. More specifically, Thomas has considerable experience in cases involving Food Hygiene Law and the complex European Union regulations governing such matters. Thomas also specialises in taxi licensing law; having prosecuted and defended in numerous cases involving decisions to refuse, revoke or suspend the licences of taxi drivers. Thomas has also gained extensive experience in all aspects of prison law. He is regularly instructed to defend clients at Parole Board hearings and Adjudication hearings. 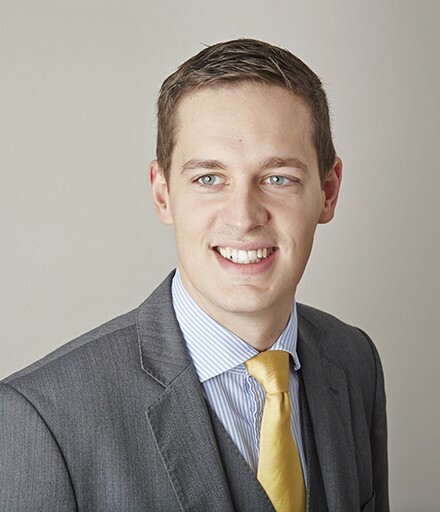 Thomas completed his pupillage under the supervision of Robert Stevenson; a specialist in this area. Chief Inspector of Lancashire Constabulary v Berkins – Preston Crown Court: Successfully resisted an appeal concerning the revocation of two shotgun licences. Advised from the outset as to evidential difficulties and later concerning a PII Application. Thereafter, the Appellant sought to state the case to the High Court and sought permission to Judicially Review the court’s dismissal. Thomas drafted the grounds of opposition for both applications which were dismissed and the Lancashire Constabulary was awarded its costs. Trafford Council v Alan Alexander and David Galloway – Manchester Magistrates’ Court: Successfully prosecuted the builders of a residential extension pursuant to Section 35 of the Building Act 1984. The building work was rectified and the Defendants were sentenced to a financial penalty totalling £3750. York City Council v Kyle Farrell – York Magistrates’ Court: Successfully prosecution for fly tipping pursuant to Section 33 Environmental Protection Act 1990. The Defendant was sentenced to a fine and costs. Yorkshire Water v Angus Heron Ltd – Successfully defended a charge pursuant to Section 174(3) Water Industry Act 1991. The Defendant company was alleged to have used a standpipe without authorisation on a number of occasions. The Defendant was acquitted and a Defence Costs Order was granted. Leeds City Council v Manzoor Shah – Leeds Magistrates’ Court: Represented the owner of a small business alleged to have breached various food hygiene regulations. Negotiated a basis of plea with the Council whilst ensuring that Mr Shah was not subject to a prohibition order; enabling him to continue his business. Khalid Iqbal v Kirklees Council – Kirklees Magistrates’ Court: Successfully resisted an appeal brought by Mr Iqbal challenging the revocation of his Hackney Carriage Licence. Re Cainan Jerome – HMP Leeds: Successfully sought parole for a detainee whose licence had been revoked due to new offences. Thomas may accept Public Access work, where he can be instructed directly by a member of the public rather than a solicitor.